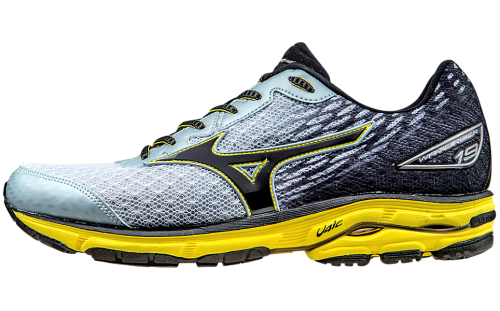 Take on the long miles ahead with the Mizuno Wave Rider 19. A lightweight U4ic midsole as well as parallel wave help provide a springy responsive ride and blown rubber in the forefoot provides improved durability and softness. Along with a U4icX Strobel Lasting board for a comfortable and cushioned underfoot feel, the Rider 19 is ready for the roads. They were an ok shoe. Decently comfortable, but was really annoyed because the gap in the back of the heel would always get things stuck in that space.